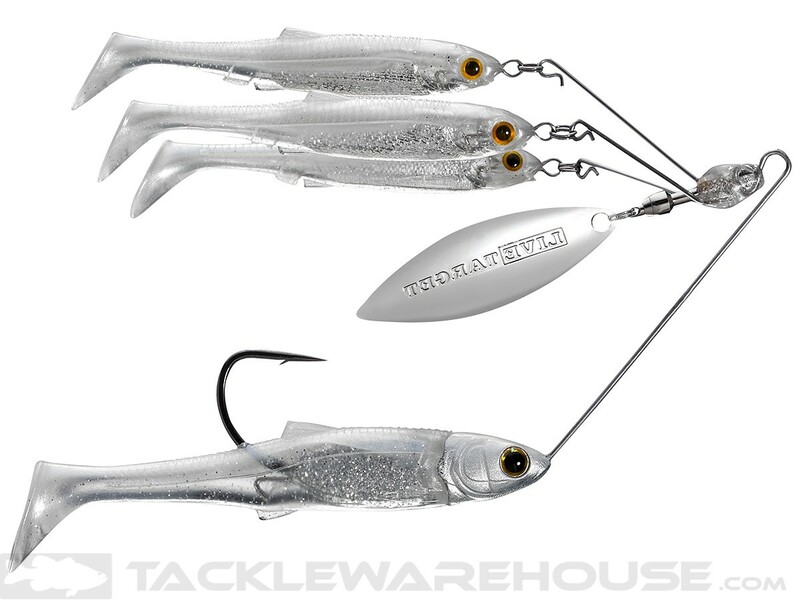 On a standard Spinnerbait, remove the Blade, Swivel and Split Rings and rig a Swimbait on a Weightless EWG in the place of the blade/swivel. Swimbait will provide a little vibration and resistance. Should work BKJ, I'll give it a go as soon as the ice is off. My next opportunity will be shooting some of my favorite 4.25" swimbaits and applying them this way. I've caught literally tons of Bass on Spinnerbaits, I love fishing Spinnerbaits, and A-rigs are a bear to fish, but this idea has my tail waggin'. Don't stop! GET iT GET iT!